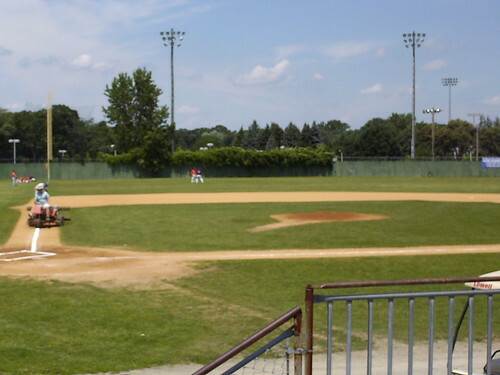 The view from down the first base line at Alumni Field. 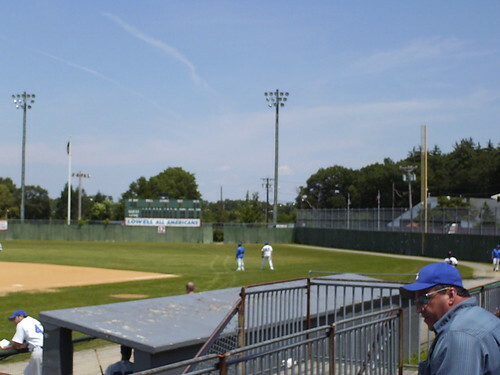 The vegetation in left field grows over the fence and into the field of play. 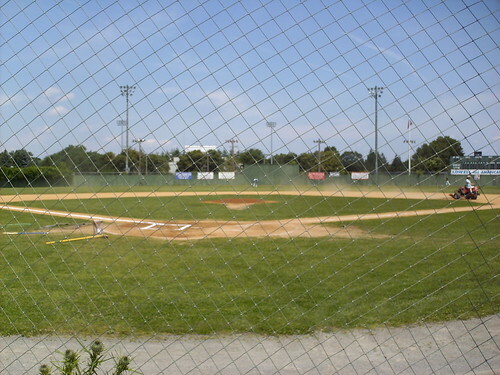 The outfield fence at Alumni Field. 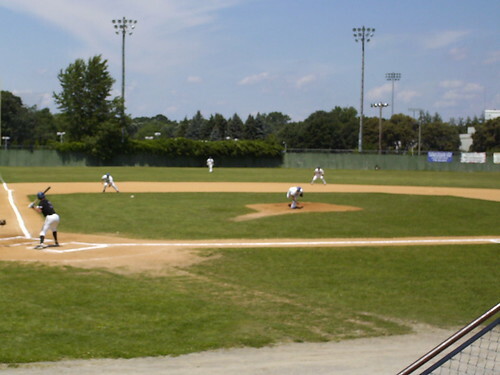 The field juts out in right field and then dramatically back in, forming a triangle in right and ending at a very short 272 ft at the foul pole. 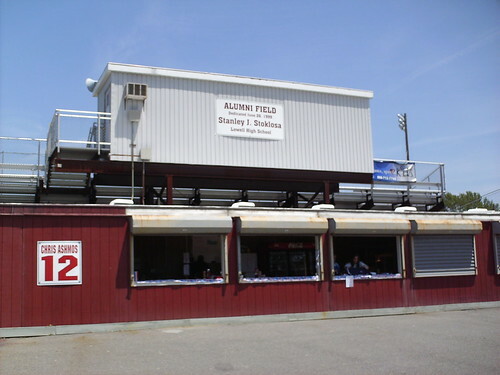 The grandstand at Alumni Field. 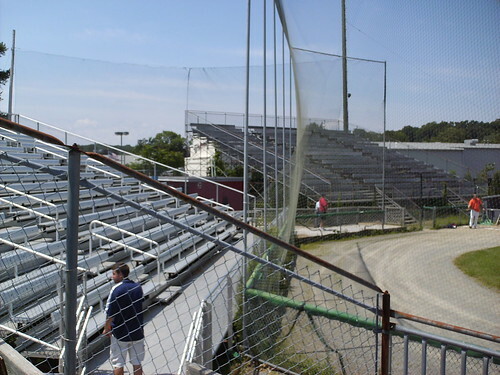 The playing field dates back to 1902 but the current aluminum grandstand was built in 1996 as the field prepared to host professional baseball for the first time in 50 years. The Lowell All-Americans on the field at Alumni Field.